Hello! 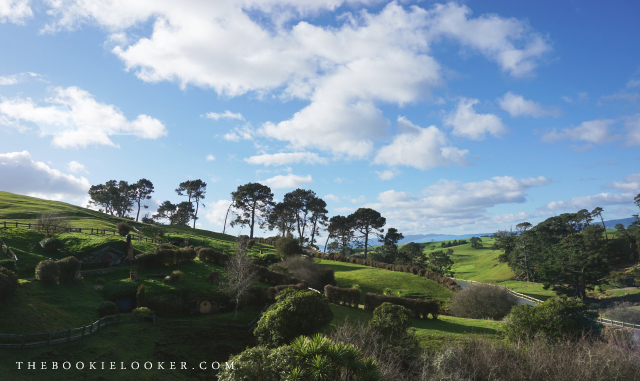 About two weeks ago, I just returned from New Zealand—which has became a Tolkien tourist destination because of the Hobbiton Movie Set. 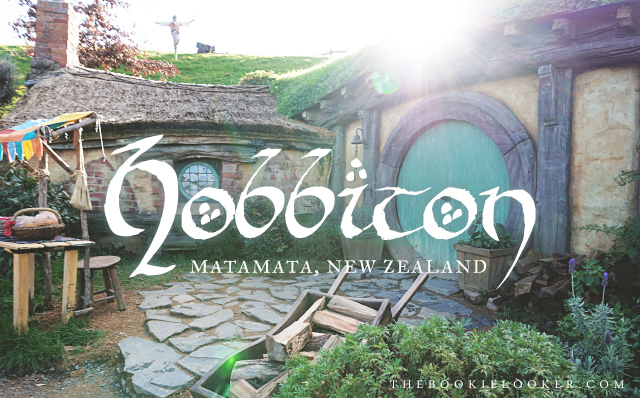 It is located in the northern part of New Zealand in a place called Matamata. 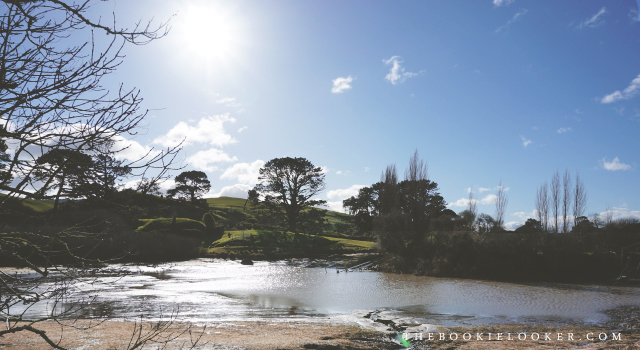 When Peter Jackson discovered this place back in 1998, it was a farm owned by the Alexanders. 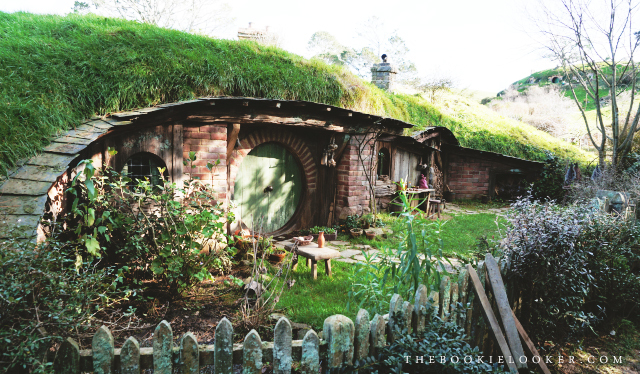 After thorough negotiations, the owners finally agreed to Peter Jackson's request to use the place for filming and the place soon became a tourist attraction because of people's interest in the movie. I went there to have lunch and also a tour around this beautiful place. 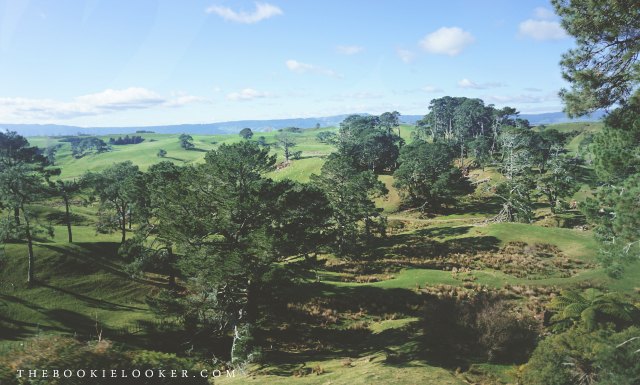 There are a lot of fun facts that the guide shared during the tour, which I will mention if I can still remember them :)) Okay, so here's my experience in the world of hobbits! 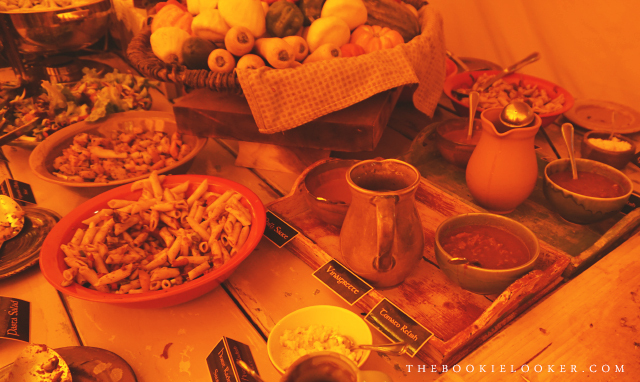 Below are some of the food that I took pictures of. There are plenty more but I couldn't capture it all because it was extremely crowded with people! 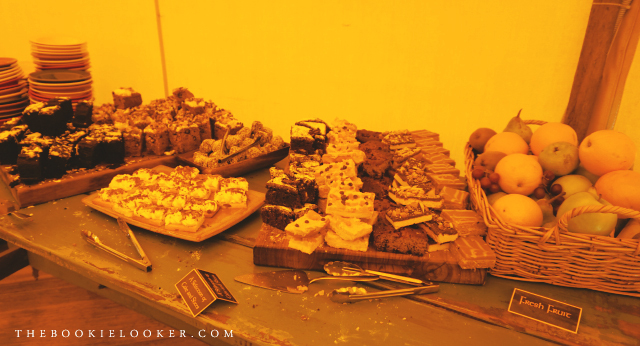 My favorites will have to be the various cake selection. 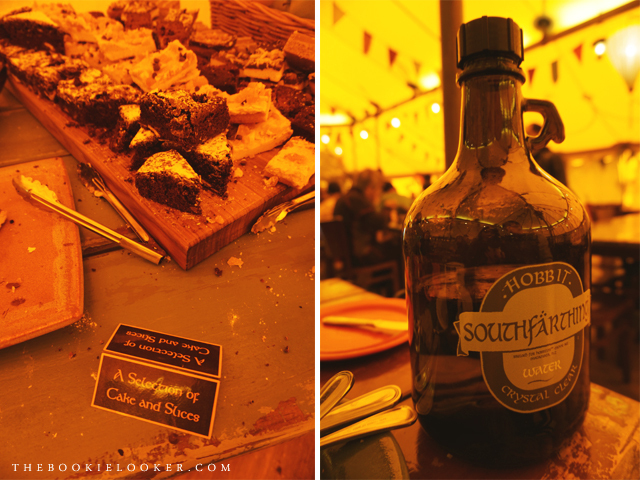 Loved the brownie. And I love that bottle in which they put drinking water in. I wanted to take it home with me. 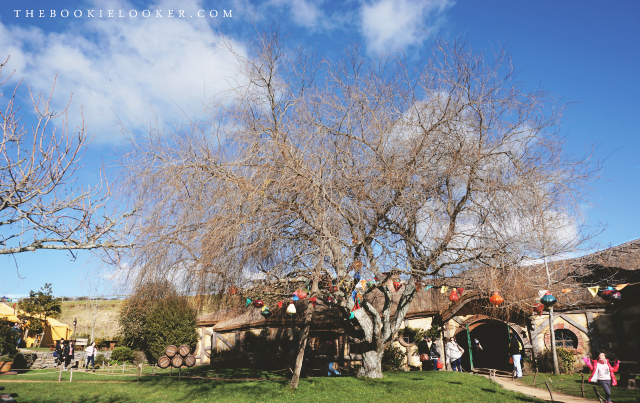 And then it's time to start the Hobbiton Movie Set tour! The guide took us through the road to take a look at the hobbit holes around the place. I love the details along the side of the road; it makes the place looks very homely and lived in. Then we went through a road called Gandalf's Cutting and finally reached the first hobbit hole. I asked the guide if we're allowed to get inside the hobbit hole; she opened the door and surprisingly there's only a wall inside. 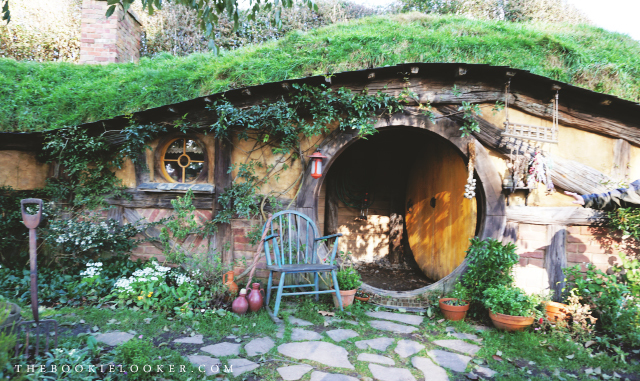 The guide explained that they only decorated the windows and the exterior, because the filming inside the hobbit hole was done in another place. There are plenty more hobbit holes nearby and the guide showed us how some of them had different door sizes. She said that the different door sizes are used to give an illusion of height. 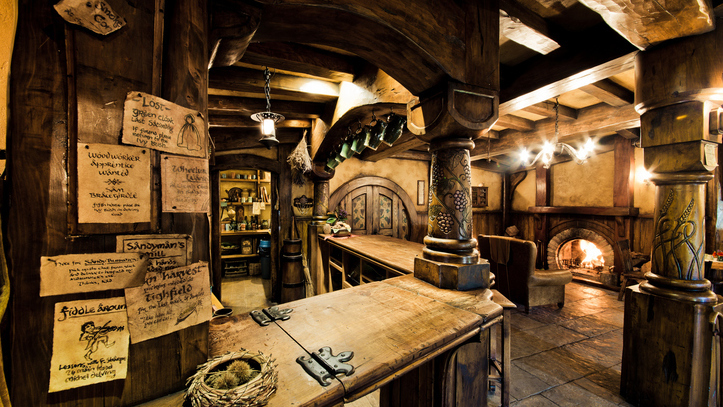 Gandalf (the taller character) would go through the smaller doors and the hobbits (like Frodo or Bilbo) will go through the normal sized doors. Filming tricks that I never thought of before when I watched the movies. 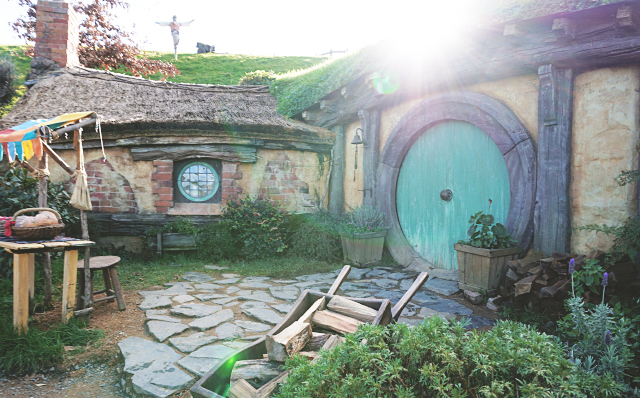 And the place that I anticipated the most was of course, Bag End, Bilbo's house. We literally had to hike for quite some time because Bag End is more at the top of the hills. But I had no time to complain because the view along the way was super gorgeous! As I was hiking I couldn't stop looking at the beautiful scenery that surrounds the place. It was magical. 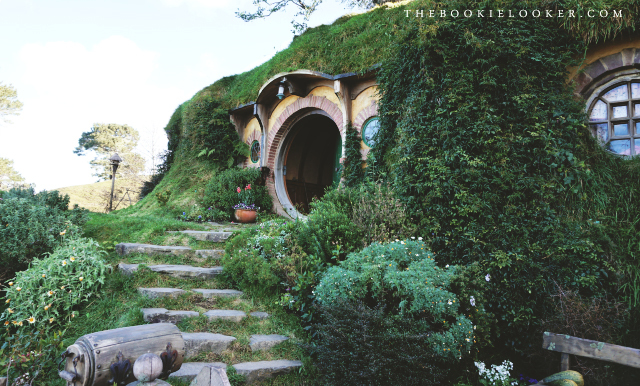 After that we also passed by Samwise Gamgee's house, who's one of my favorite characters from the book. 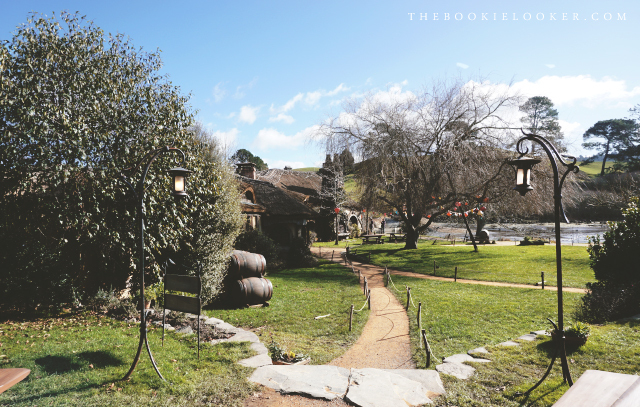 To end the tour, we had to walk quite a distance to return to our starting point and went inside The Green Dragon—which is an inn that we see in The Lord of the Rings movie where the local residents of Hobbiton meets. As part of the tour, the guide allowed us one free drink from the bar with various selection of beers (they also provided a non-alcoholic drink which is called Ginger Beer). 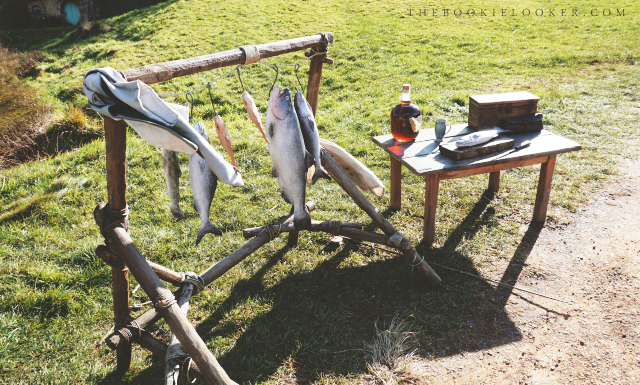 I didn't get a proper shot of the place so here's a picture that I found on the internet ↓↓. 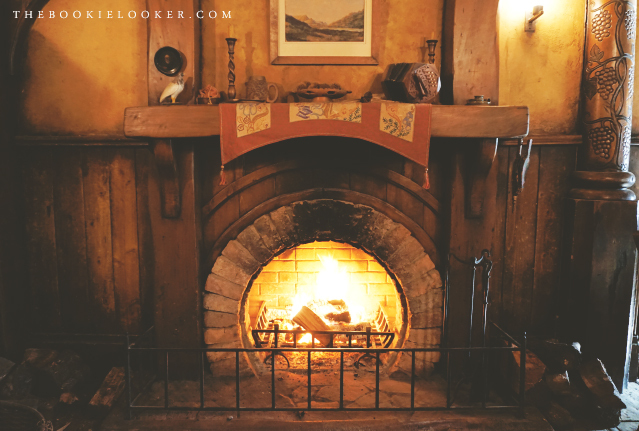 I only managed to get a picture of the fireplace because I was warming myself up there. Lastly, we got back on the bus and returned downhill where the gift shop is located. Sadly, everything is really expensive there. So I only got my hands on the things that I really really want to get (and looks pretty). 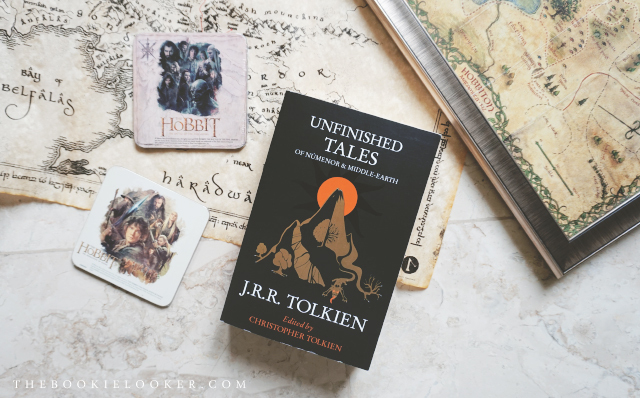 I purchased a very beautiful map of Middle-Earth, two coasters with The Hobbit movie pictures on them, and a book which I included in my July book haul post. I spent a LOT of money on those things so I didn't dare add more souvenirs to buy. Here's the picture of the things I got :) *And I also framed the brochure that the guide gave us with a map of the Hobbiton Movie Set. Sudah setahun terakhir ini rencana mau kesana, tapi belum dapat waktu yang pas, hiks.